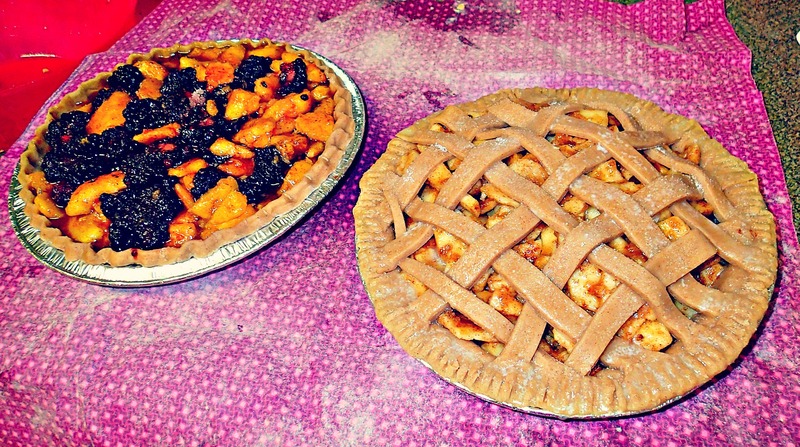 I have been in the pie making mood ever since going to the farmer’s market. It’s a lot cheaper to make fresh pies in the summer because the fruits are in season. 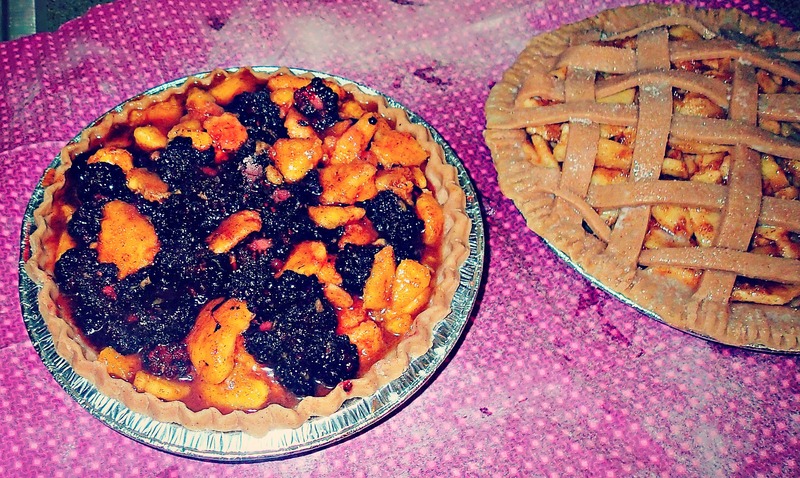 A couple of days ago, I made a blackberry peach pie and some of you asked for the recipe, so here it is! 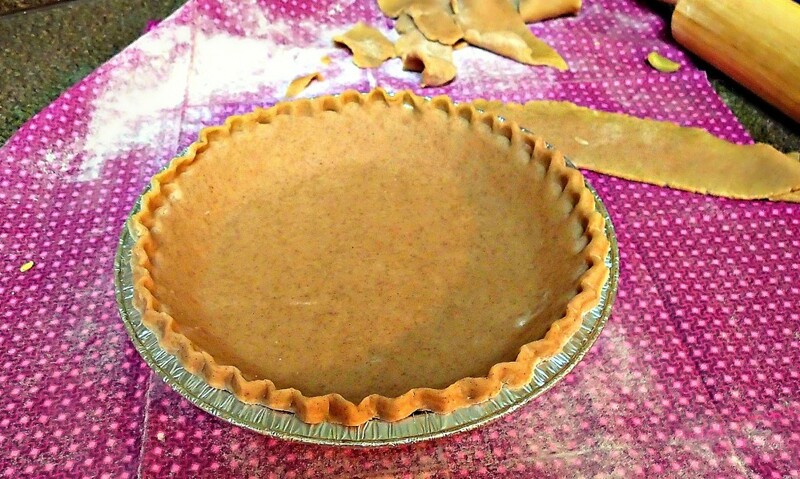 The instructions for my pie crust can be found right here! 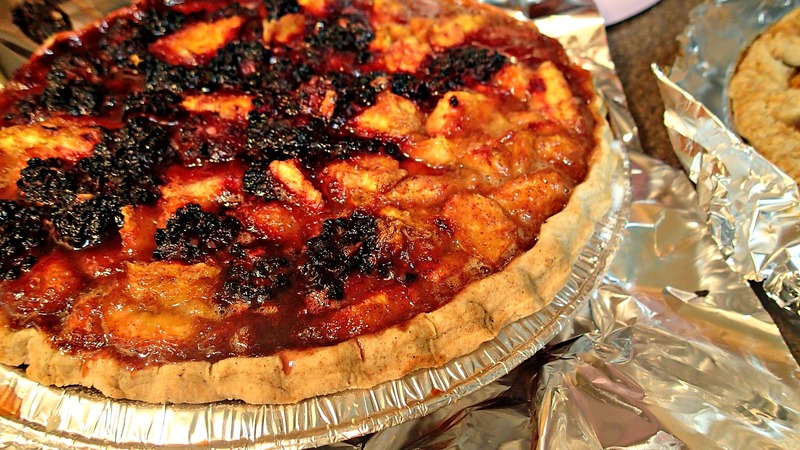 While you’re preparing the pie crust, put the remaining in the refrigerator so it doesn’t dry out. I bought some material scraps for rolling out the crust. 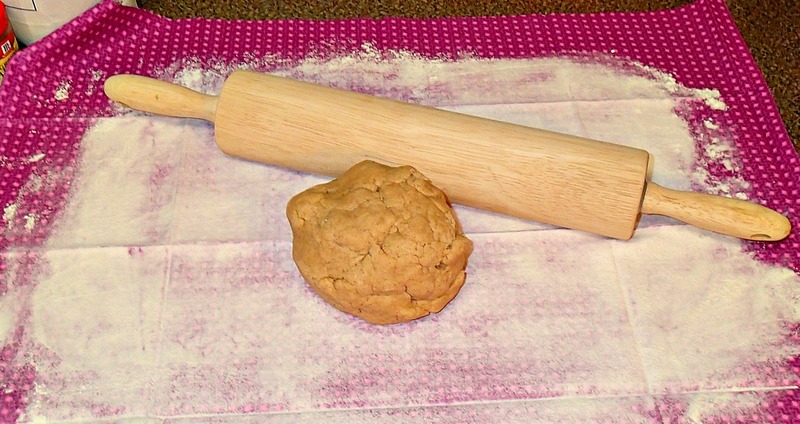 The flour sticks to the material better and the dough won’t get stuck to the counter. 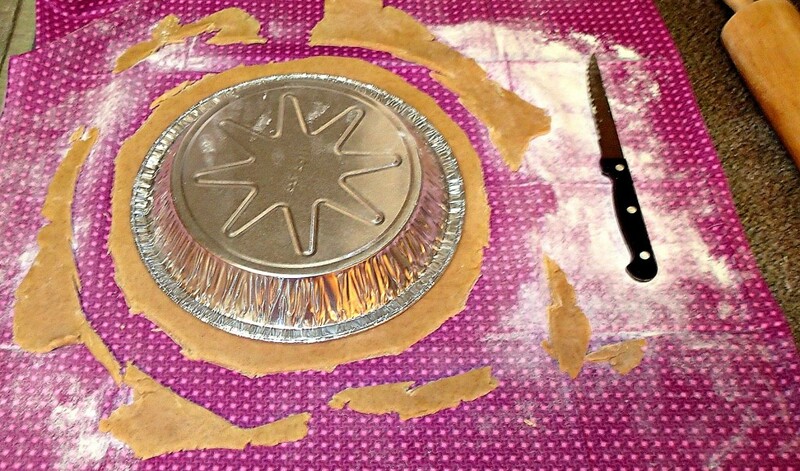 After you roll out your crust, place the pie pan on top and cut the dough to fit. Leave a 1/2 inch crust. Flip it over and place the crust into the pan. Move it around so it’s even. 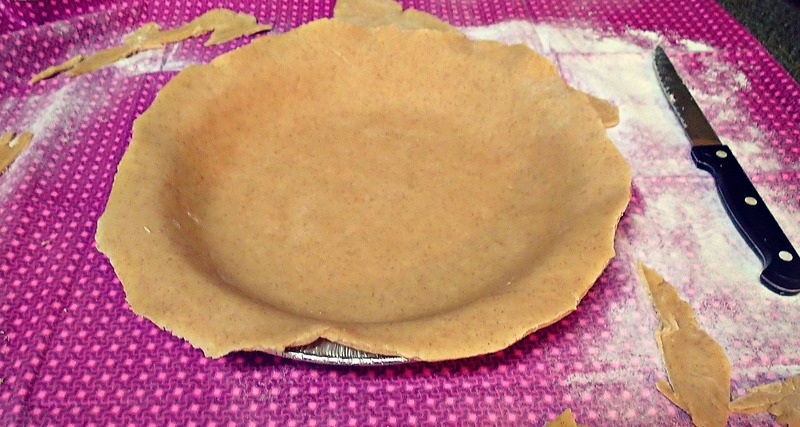 There are so many different ways you can sculpt the pie crust. I do the little pinchy thing with my fingers that my grandpa used to do. If you google it, there are tons of tutorials. 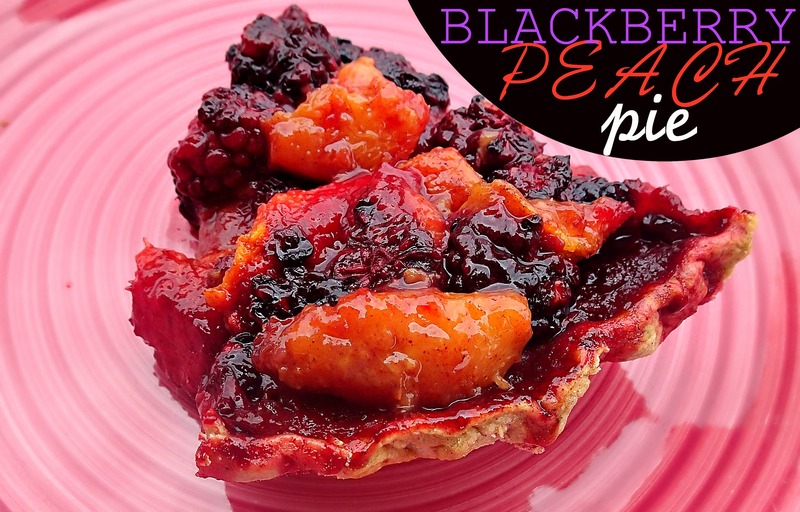 Blackberry Peach Filling Ingredients: *10 large peaches, peeled and sliced 1/4 inch thick. 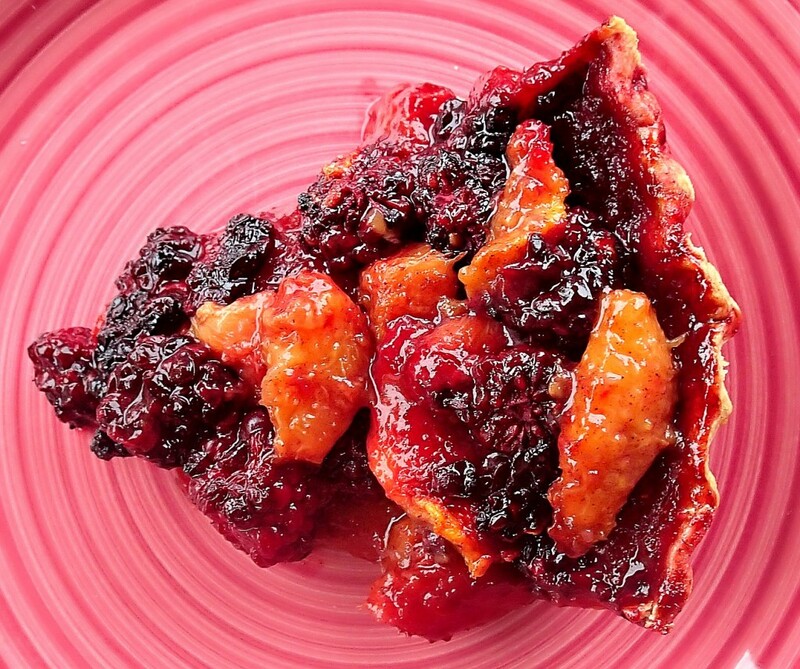 *1 Cup fresh blackberries diced up *1/4 cup of flour, *2/3 cup brown sugar, *1/4 cup sugar, *1/2 tablespoon ground cinnamon. 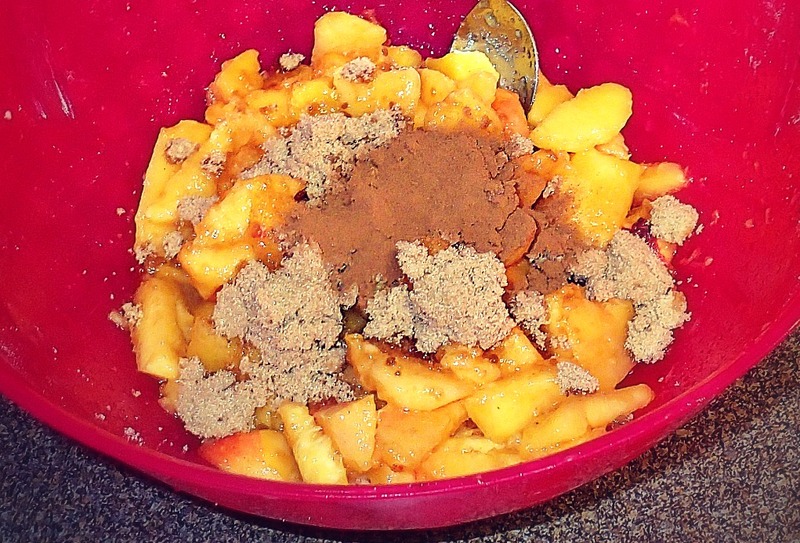 Mix all the ingredients in a large bowl and add it to the pie crust. Cover the apple pie with tin foil so the top does not burn. Bake the pies for about 1 hour and 30 minutes at 350 degrees. All ovens bake differently, so pay attention to your pie! Make sure you line the bottom of your oven with tin foil so the juices do not stick and burn in your oven. Take your pie out and serve it with whipped cream or ice cream! Looks super good! 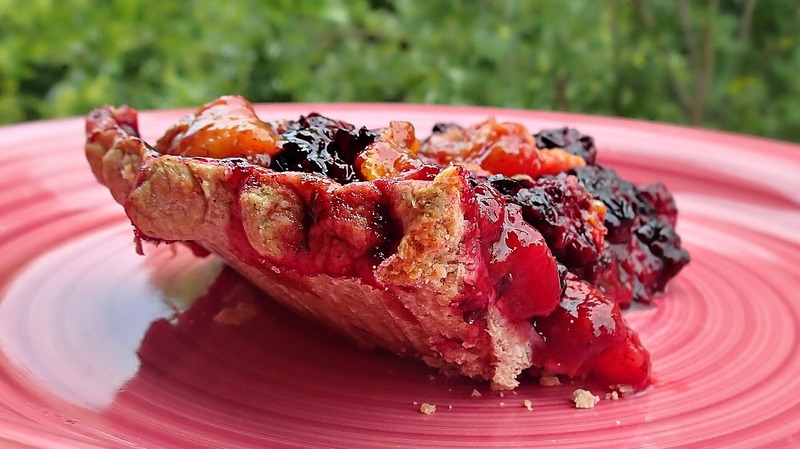 Why do you use flour in your peach/blackberry filling? Hello, I like very much your blog, I would like to know that I can do exercises to slim the legs (thighs), I tend to accumulate fat in this area. :'( Do I usually do the elliptical one, but that more might do? Does that crust recipe make enough dough for two pies or one? Sunday Freaking Fun Day: Mass, Heroes Convention & Lunch! Avocado Chicken on a Honey Wheat Bagel & Liveashore!